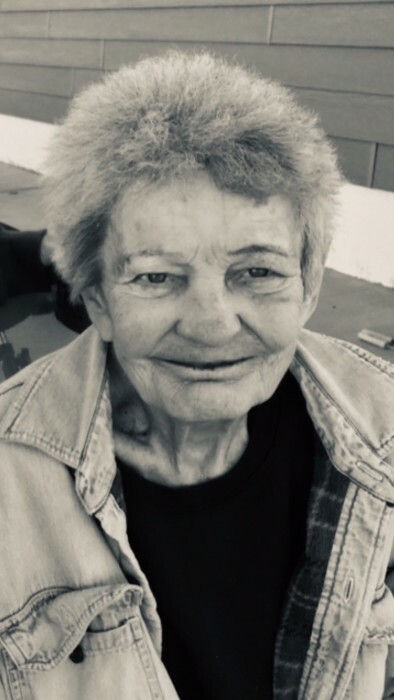 Esther Valeria Klette, age 75 of Conrad, MT passed away on January 31, 2019 after a battle with cancer surrounded by her family. The funeral service will be held at 2:00pm on Monday, February 4th at the First Presbyterian Church in Conrad. Funeral arrangements are being handled by Asper Funeral Homes. Esther was born in Great Falls, MT on November 11, 1943 to Earl and Cleo Sheldon. She married Ralph Miller on Dec 2, 1960 and had three children, Tim, Tom and Val. They were later divorced. She married Gary Klette May 22, 1992. She was a homemaker and loved quilting, sewing, gardening, country music concerts, and camping with very large campfires. She was an excellent cook and passed her knowledge on to her family. Survivors include her husband Gary Klette, sons Tim (Lilly) Miller of Augusta and Tom (Debbie) Miller of Brady, daughter Val (Dave) Elings of Conrad, brothers Charles (Barbara) of WA, Dale (Sue) Sheldon of Conrad and Earl Sheldon of Great Falls, sister Carol Lea (Gene Hauer) of Conrad, brother-in-law Jerry Bishop of Brady, numerous grandchildren, great grandchildren, nieces and nephews. She is preceded in death by her parents Earl and Cleo Sheldon and sister Toni Bishop. Memorials can be made to the First Presbyterian Church of Conrad or to the charity of your choice in her name. The family of Esther Klette wish to thank Peace Hospice of Conrad and the staff of Pondera Medical Center for the loving care she received in her final days.